Here's a fun question to ask: Do you know how to make a young adult happy? 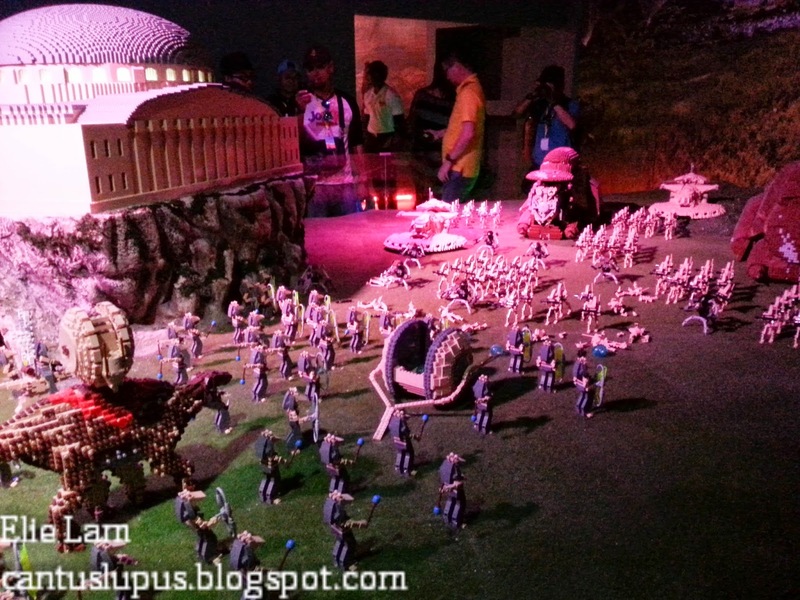 I was there to witness the launch of the LEGO Star Wars Miniland Model Display. Nothing says excitement like biting on your media tag! 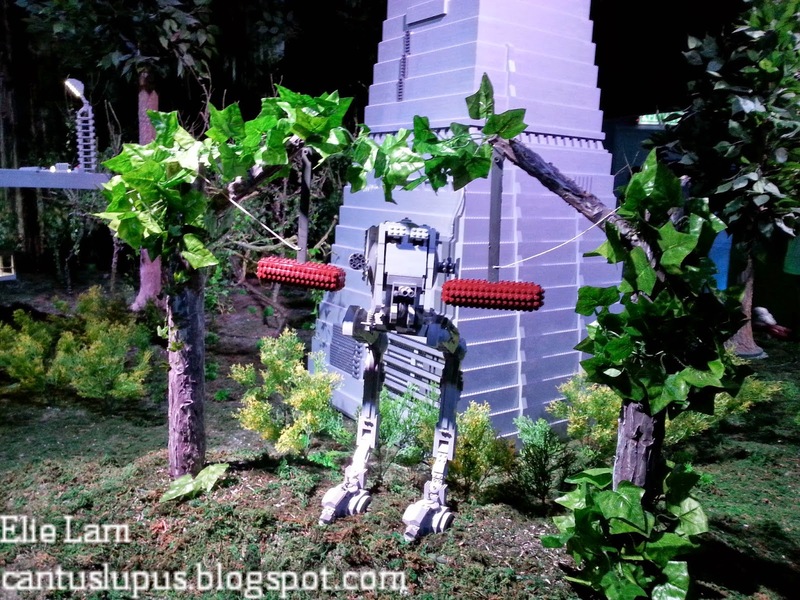 Officially launched on the 3rd of September, the LEGO Star Wars Miniland Model Display houses over 2,000 LEGO models built to a 1:20 scale using over 1.5 million LEGO bricks. It features 7 scenes from the six Star Wars films and The Clone Wars animated series in an octagonal building that has been divided into 8 areas; with each area showing a single scene while the final area is a dedicated retail section for products from the LEGO Star Wars franchise. The arrival of the squishy Darth Vader. I'll explain why I say "squishy" later. 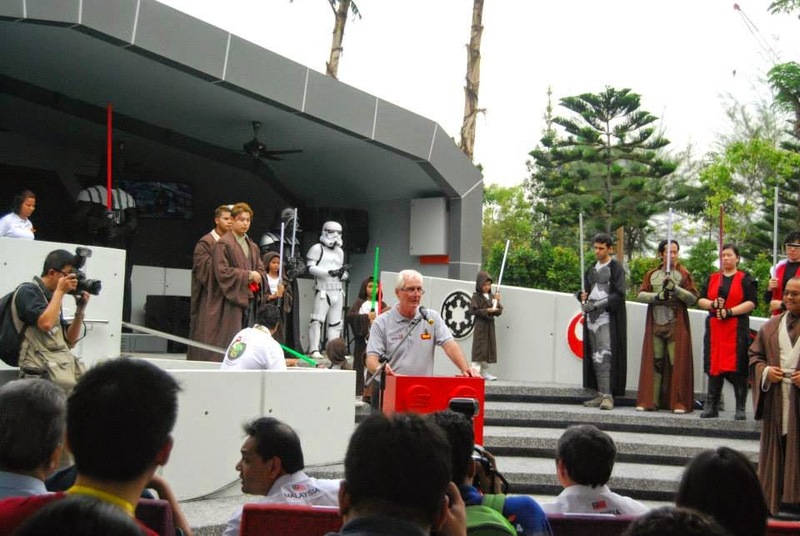 Mark Germyn, General Manager of LEGOLAND Malaysia Resort giving his speech. 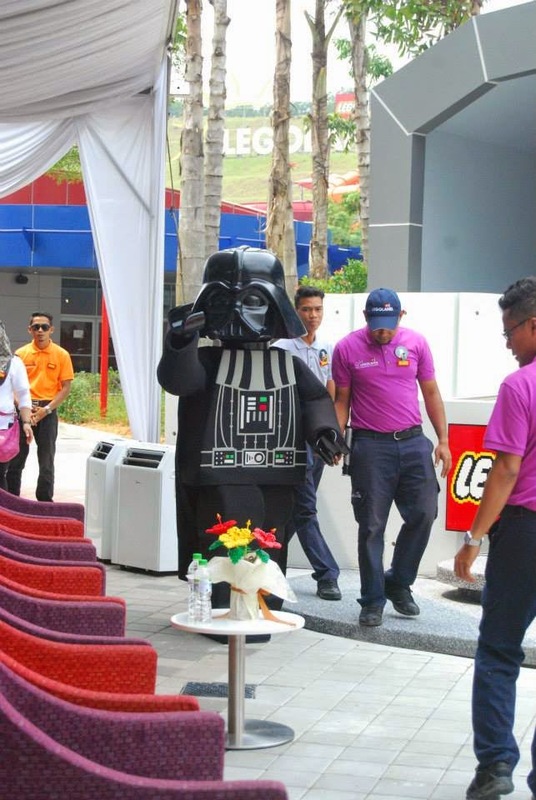 The attraction that costs RM 6 million is built in commemoration of LEGOLAND's second anniversary and half of the models in the display has been shipped from Germany and Czech Republic while the rest were built in Malaysia. Dato' Dr. Ong Hong Peng, Secretary General of Tourism explaining how LEGOLAND has helped boost tourism in Malaysia. 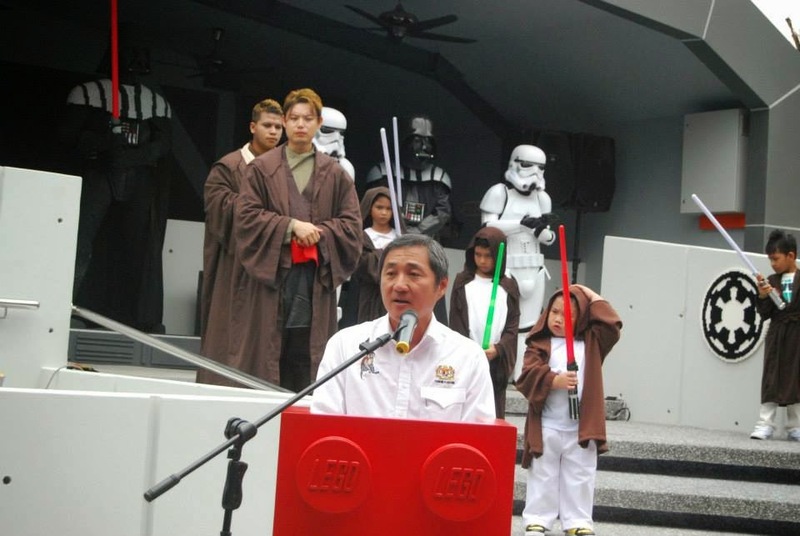 As you could see from the little boy behind Dato' Dr. Ong Hong Peng, it was fairly stuffy on the day of the launch; possibly from the rain clouds that were shrouding around LEGOLAND the entire day but thankfully enough, the LEGO Star Wars Miniland Model Display is fully air-conditioned so nobody has to battle through sweltering heat as they enjoy the walkthrough. A hilarious sign outside of the display where you queue to enter. It was made of LEGO, obviously. 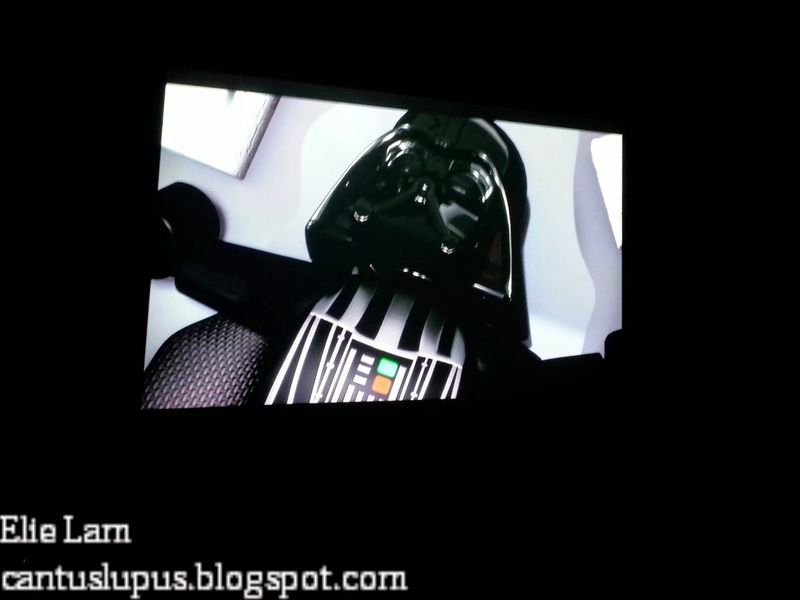 And a frustrated Darth Vader on screen. Episode I: The Phantom Menace - Naboo. It took over 1,285 hours to create some 237 models in this scene whereby we see the Battle of Naboo and the capital Theed. We were treated to a view of Obi-Wan Kenobi and Qui-Gon Jinn fighting the Sith apprentice, Darth Maul and the Theed Palace actually weighs 63kg, taking over 350 hours to build. Episode II: Attack of the Clones - Geonosis. 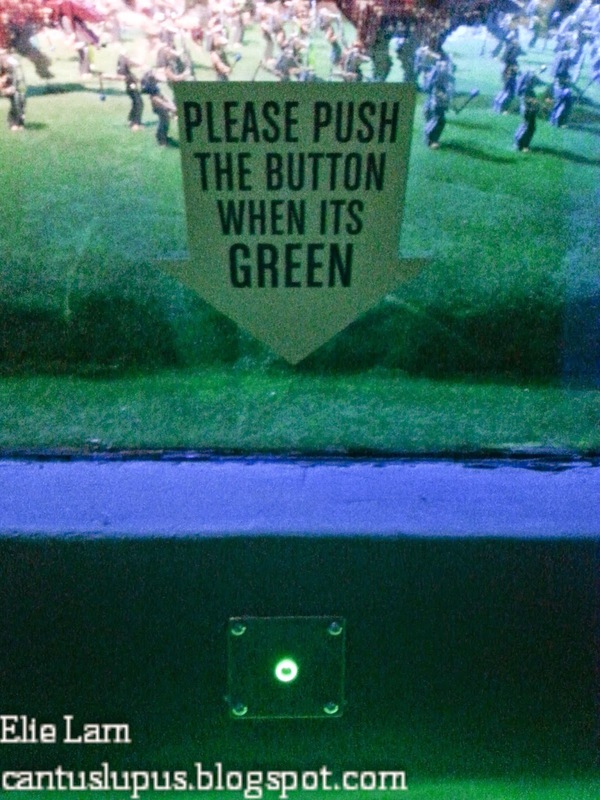 Push the button, I say! Parts of the model displays were also animated by the push of a button, complete with lights and sounds to accommodate to the mood. It was truly an eye-opener for someone like me who has never quite caught on the Star Wars fanhood. 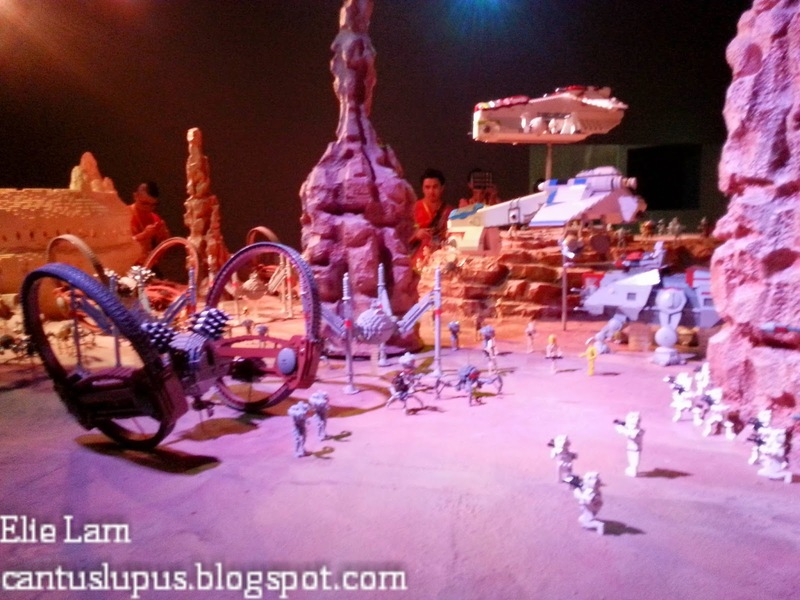 A scene of the Geonosis Arena where Padme Amidala, Obi-Wan Kenobi and Anakin Skywalker battles ferocious creatures. This scene has become the most populated scene in the entire display, housing over 247 models and taking up to 1,000 hours to build. In fact, the arena itself was built using 290 hours; an equivalent to 12 days for a single arena! Episode III: Revenge of the Sith - Kashyyyk and Mustafar. With two different planets in one scene, this display shows you the Battle of Kashyyyk - the home to Chewbacca and Wookiees while the other side takes you to the fateful duel on Mustafar between Obi-Wan Kenobi and Anakin Skywalker. 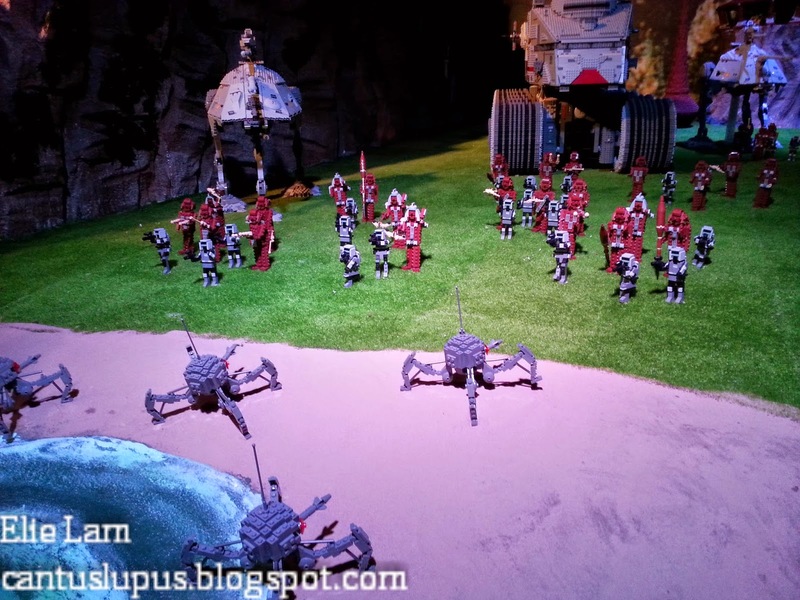 There are up to 152 models in this scene; including 30 Wookiees, 30 Scout Troopers, 40 Battle Droids and 15 Dwarf Spiders to boot. Episode IV: A New Hope - Tatooine. 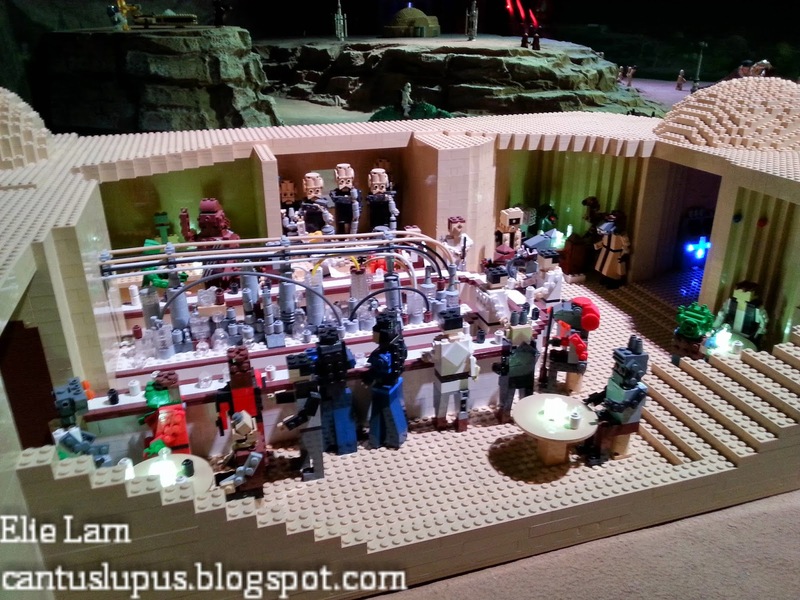 A look into the Cantina at Mos Eisley. Weighing 130kg in total, the fourth scene, Tatooine, houses the famous starship of Han Solo, the Millennium Falcon. 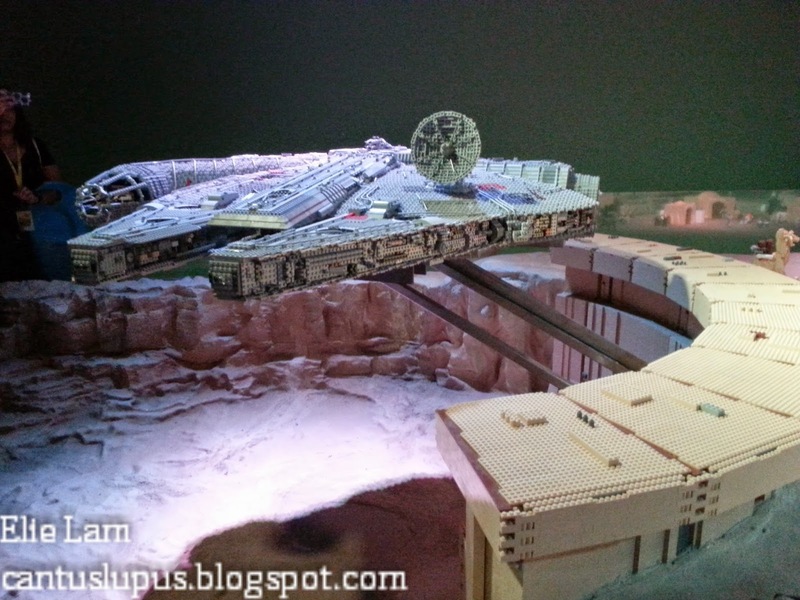 With a push of a button, the Millennium Falcon lifts off ground and sets back in a matter of 40 seconds so you get to see the intricate detail that has been spent on the model. You can also spot the animated Cantina Band above the spaceport! It took up to 1,098 man hours to build some 126 models in this scene. Episode V: The Empire Strikes Back - Hoth. Take a peek into the icy planet where The Rebels takes refuge in before the Empire tracks them down and The Rebels are forced to flee! This scene features models of the Imperial AT-ATs, Rebel Snowspeeders and Luke Skywalker's X-Wing starfighter and has been built using 1,210 hours, weighing up to 129kgs. Episode VI: Return of the Jedi - Endor. Darth Vader being delivered on the landing platform of the Imperial shuttle. 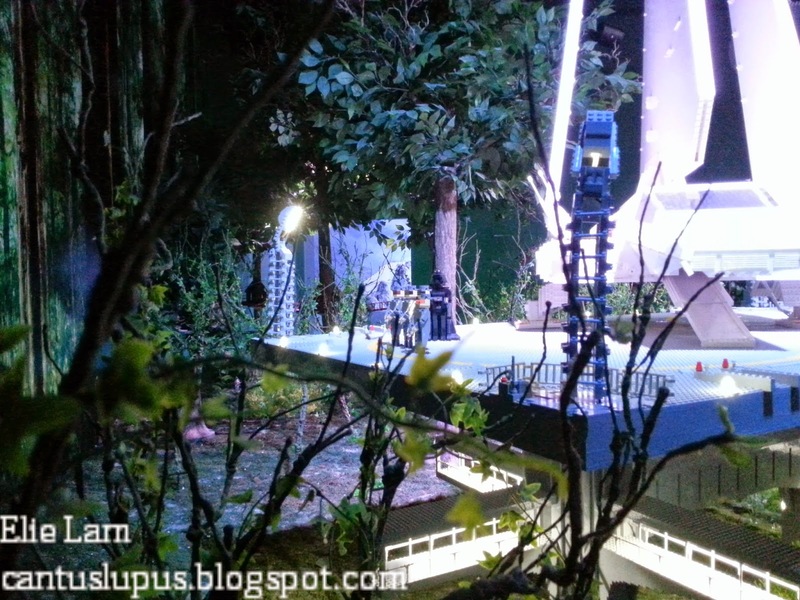 The sixth scene takes place in the forest moon and home of Ewoks who fought against the Imperial Forces alongside the Rebels with each tree taking 3 days to create and are moulded from a real tree! The Shield Generator in this scene took up to 220 to build, totalling the building hours to 941 for this scene alone. Star Wars: The Clone Wars - Christophsis. 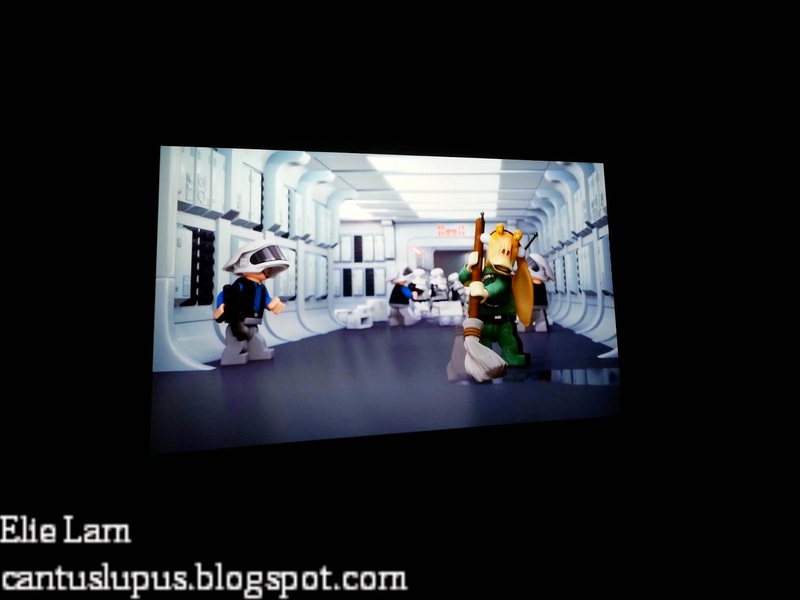 Finally, the display takes us to a scene from the animation series, The Clone Wars on the planet Christophsis. 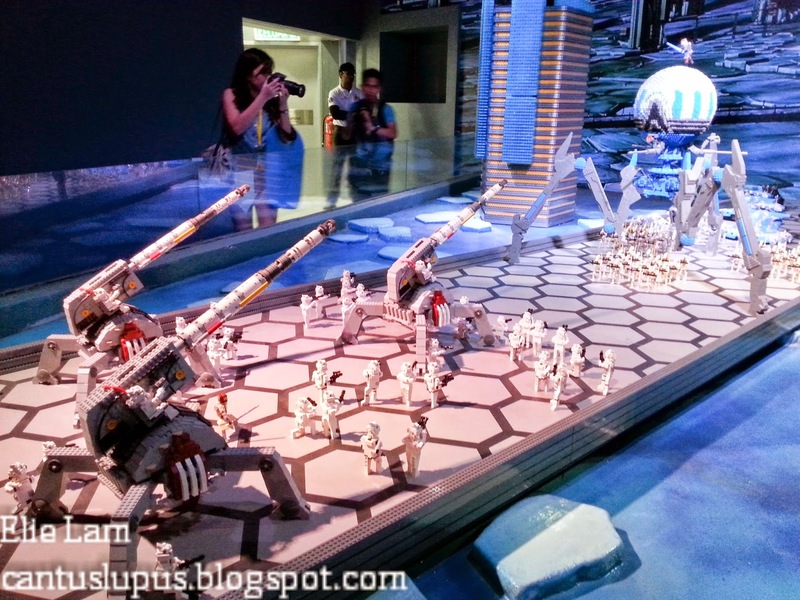 It is the biggest model in the LEGO Star Wars Miniland Display, featuring the 8-foot tall Crystal Building alongside 70 Battle Droids, 40 Super Battle Droids and 50 Clone Troopers. It seems this isn't the entrance! 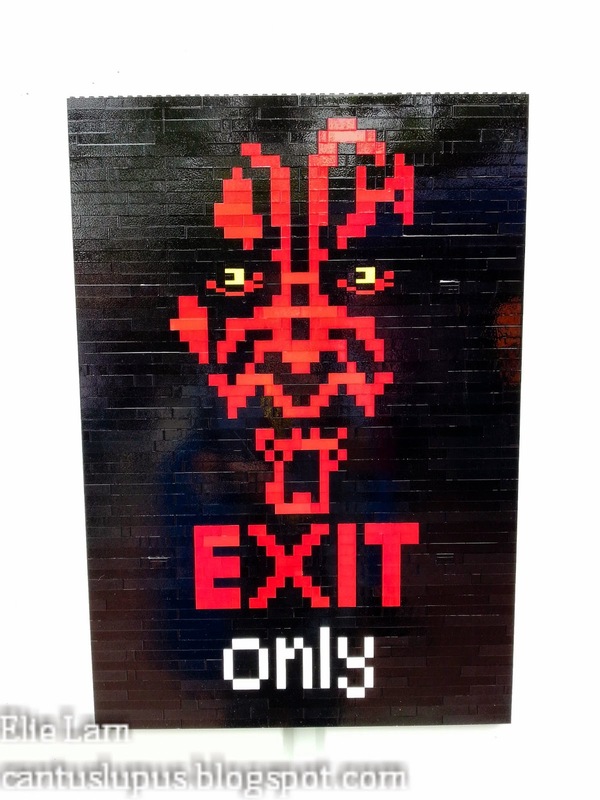 With a dedicated retail area for all the fans of Star Wars to pick up little merchandises such as LEGO Star Wars keychains, magnets and box sets, the tour took an end with this scary looking Darth Maul on the outside; warning you that it was just for us to get out from and not to enter. How interesting. The squishy Darth Vader and I. Remember when I said the squishy Darth Vader had arrived? Well, here's how I knew he was squishy! 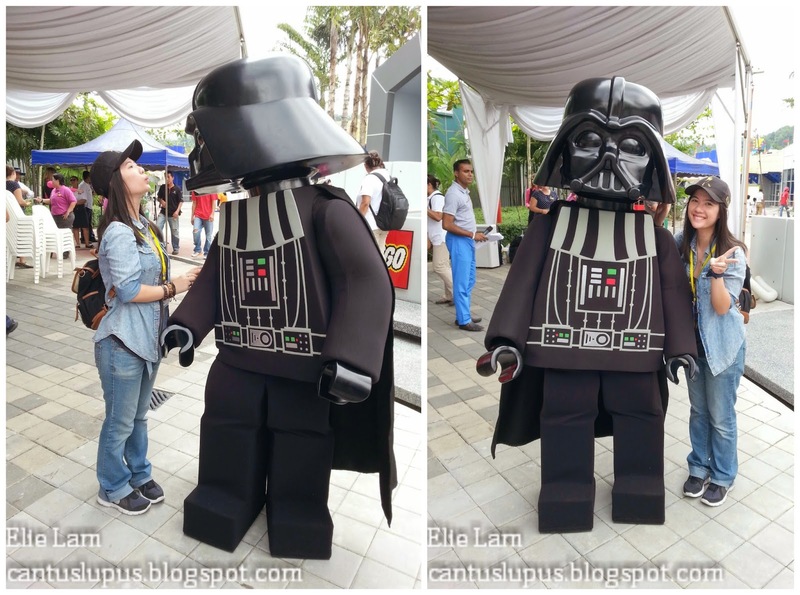 Being extremely mischevious at first, Darth Vader refused to look into my camera and instead was constantly fixated on me before I gave his head a little twist and took his (SQUISHY!) arm for a picture perfect moment. It's one of the best shots I've had at the launch and I couldn't get over how adorable the Darth Vader looked, as opposed to being scary as he was supposed to be. While we were there, obviously we didn't just leave without looking around LEGOLAND itself. 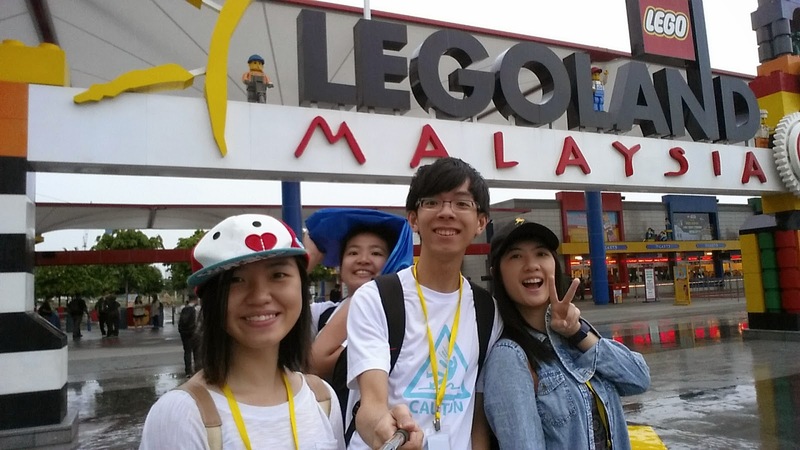 With over 70 rides, slides, shows and attractions, LEGOLAND definitely took the inner kid out of us and we had our own moments of enjoyment going around. Modelling for the LEGO artist. 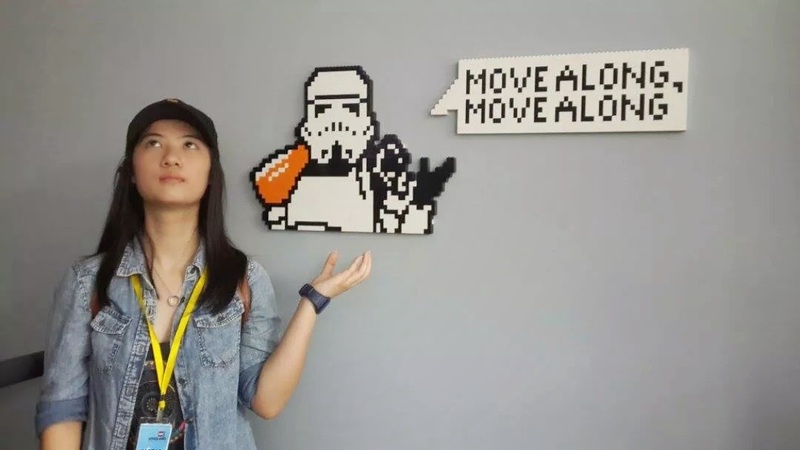 The joke behind this picture is that Joel said the LEGO artist wasn't doing a very good job as there was nobody for her to paint so we took the liberty to being her "models". Hence the creepy smile from me because that was how the picture looked like...right? 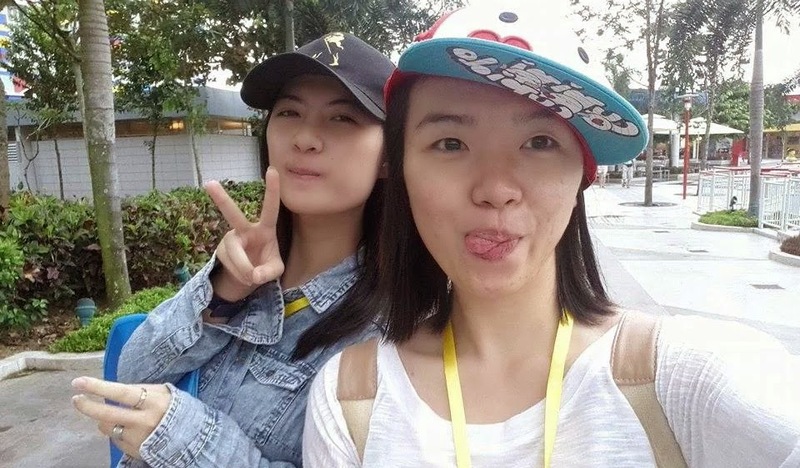 Walking around LEGOLAND with Senri. One in front of the Project X ride. 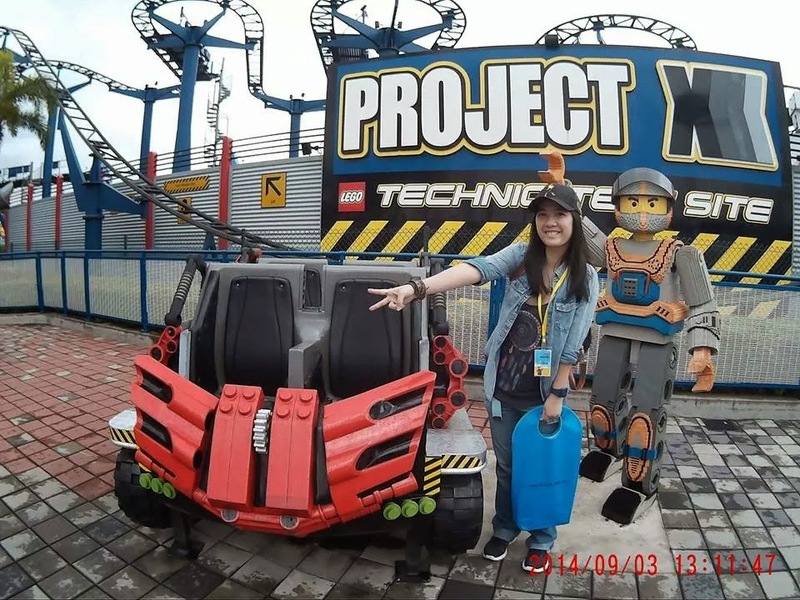 We did try out the Project X ride; a ride that features 15 corners and has more twists and turns than any other ride in LEGOLAND. 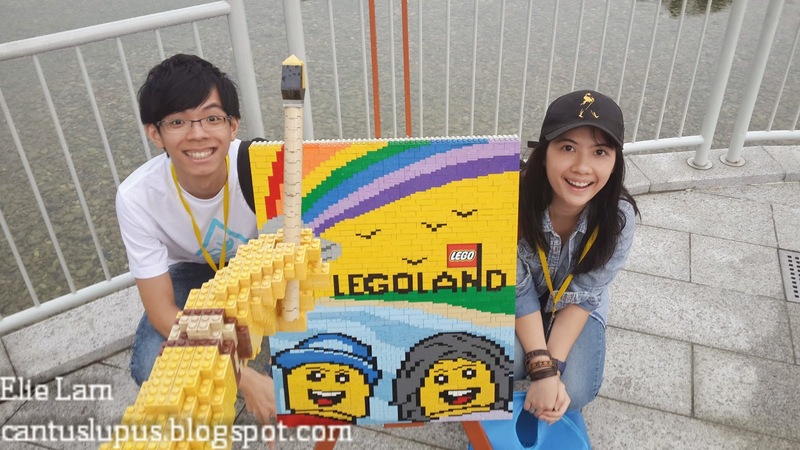 It took great dips from good heights where you can overlook the park itself and is placed at the LEGO Technic park. 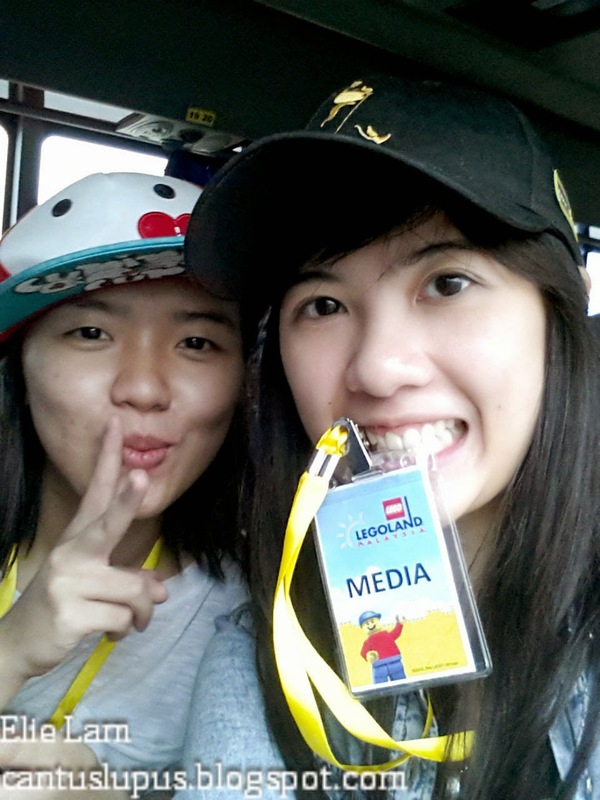 Ciao for now, LEGOLAND Malaysia! Our 5-hour bus ride back to KL soon after it poured in LEGOLAND, Johor was indeed a satisfying one as most of us fell asleep along the way and recharged for whatever endeavors awaited...late at night. 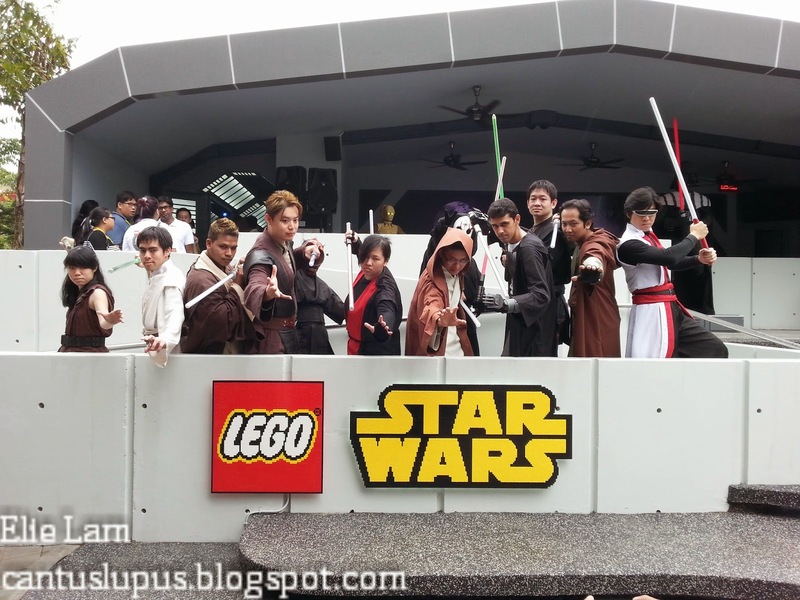 Here, I'd like to thank Rantau PR and LEGOLAND Malaysia for the opportunity to be one of the first to witness the launch of the LEGO Star Wars Miniland Display because without it, I probably would have missed out on looking at so many intricate models! Until the next time of releasing my inner child, let's get building LEGOs!